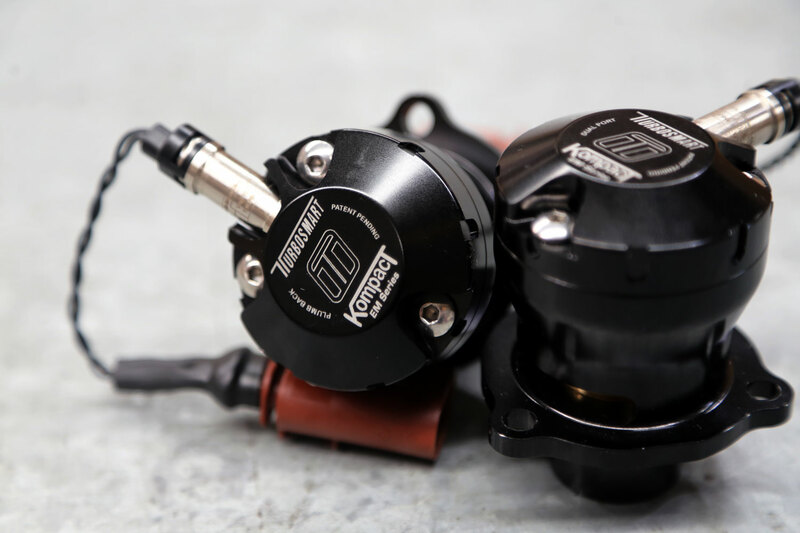 The future is here with Turbosmart EM BOV (Blow Off Valve); Electric valves for the modern turbocharged engine. 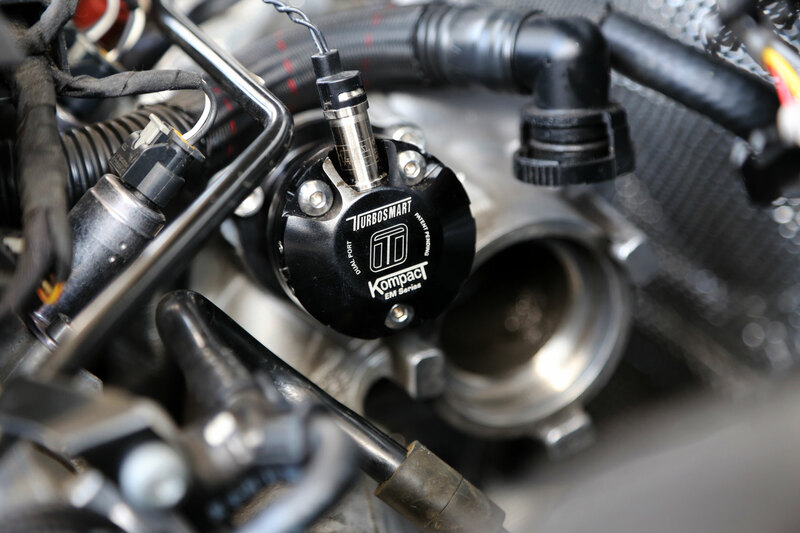 Currently hitting the shelves of major automotive performance dealers in the world is the latest range of electro-mechanical blow off valves (also known as dump valve, or diverter valve); the Turbosmart Kompact EM BOV. Available in both a plumb back (recirculate) and vent to atmosphere, this latest range of plug-and-play valves from Turbosmart sees an introduction to boost control for Original Equipment Manufacturers of turbocharged vehicle applications that require an electronic diverter valve. Featuring unique, patent pending, pressure control features, these units are faster than OE, greatly reduce boost leak by up to 400% and do not interfere with the OEM control systems. This makes for the fastest responding valve available for these vehicles on the market. The combination of billet construction and high-temperature proprietary material allows for increased boost control, increasing the life of turbochargers while providing maximum performance. Brendan Lee, the APAC Sales Manager is particularly excited to see the latest range to be released. “This is a move in the right direction for the Turbosmart customer. Not just within the APAC region, but across the globe, we are seeing a greater influx of smaller, but more powerful turbocharged OEM applications requiring electronic response valves. 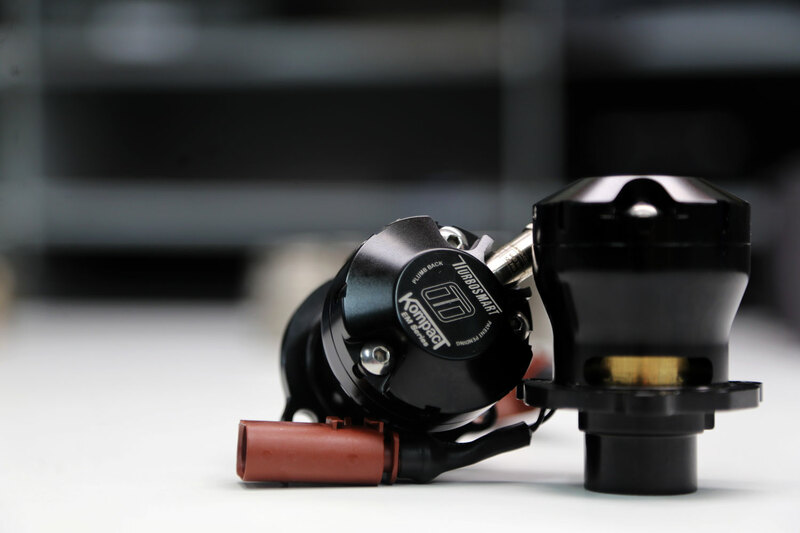 With this new release, Turbosmart is helping customers that want to take the next step in replacing their OEM valves with an aftermarket product that offers greater responsiveness, greater reliability and greater performance”. 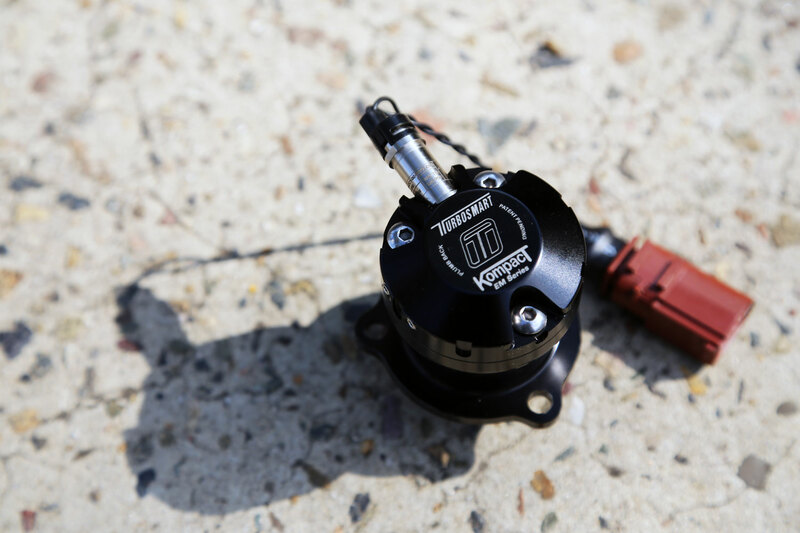 The new Turbosmart EM BOVs are the world’s first truly plug and play blow off valves. Bringing to market a diverter valve without additional hardware required, no hoses, no adapters, no brackets, just replace the OEM unit; simple. This means a seamless integration into customers’ existing applications makes the units very easy to install. “Technology is moving fast in the world of turbocharged vehicle manufacturing and we are determined to stay ahead of the curve. We invested a lot of time and money into finding and testing vehicles for the EM BOV. We ran countless tests on many vehicles to make sure that this application is perfectly suited to match the fine engineering and electronics of the OEM technology found in the latest turbocharged applications” stated Richard Hong, Production Manager at Turbosmart.